Lavoy is such a great narrator and this sounds like a good story to listen to on my walks. Thanks for your review, Diane... didn't know there was going to be a sequel. Yes, I read it was a planned trilogy. The narrator was good. There's a sequel to this one?! Wow - I didn't realize that! I enjoyed this one despite the fact that there were a couple of elements that usually turn me off. It's probably the same elements that annoyed both of us...LOL I still thought it was pretty good though. This book has been staring at me from the stacks so I'm glad to see it's good. This author had me at the setting alone. Looking forward to reading it. I think I would like that one too! Southern Gothic is always a treat. Love your fall banner photo! Thanks Sue! It's worth giving a try - love the setting and mystery. I haven't heard of this book before. It sounds perfect for this time of year. Great review Diane! I've been curious about this title. 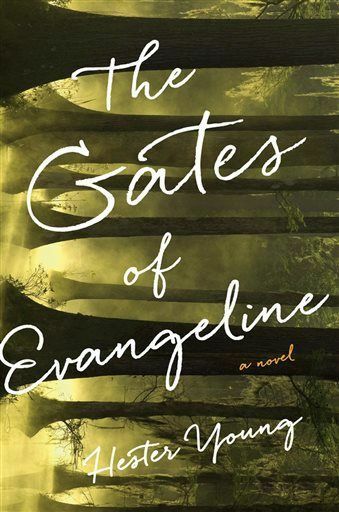 I was wondering about 'Evangeline'. After reading your review, I feel I have a good idea about this novel now. Sorry it dragged a bit for you. It didn't for me thankfully. I'm looking forward to the next in the trilogy. I'm curious as to what avenue the next book will take - another mystery for Charlie to solve I would think. I love Southern Gothic and the title intrigues me (obviously, since that's what made me click on the link at RIP!). I think I'll put it on my wish list and wait for the entire trilogy. I wished I had grabbed this yesterday when I saw it at the library. I will definitely look for it next time!